Added to most of Carnival's fleet during its Fun Ship 2.0 upgrades -- a nearly fleetwide initiative that outfitted ships with exciting new bars, restaurants and entertainment options -- the RedFrog Rum Bar is the Caribbean-themed extension of the RedFrog Pub, which introduced the line's own microbrew, ThirstyFrog Red. 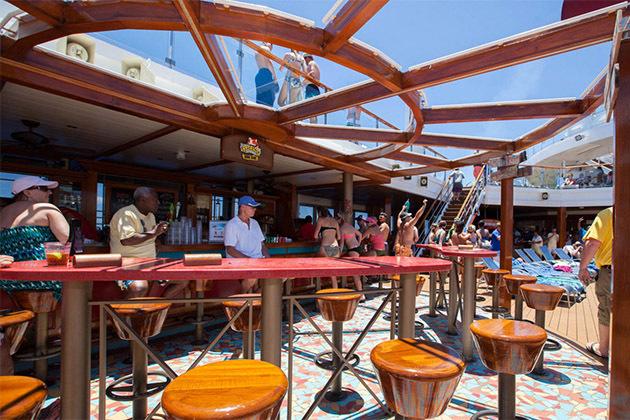 At the rum bar, positioned on the pool deck (often across from the BlueIguana Tequila Bar), cruisers will find lots of fruity concoctions and, of course, rum-based drinks. This open-air pool deck bar is made of wood with red and blue accents. It's surrounded by brightly colored tile flooring and long, thin tables with tall, wooden bar stools. Overhead stands a wooden sunburst-patterned pergola. The setup creates a laidback vibe, and its location is ideal for fun in the sun. It's an energetic spot during the day, and it can also be lively at night when deck parties and other outdoor activities are held. Rum from various countries is the main draw at this watering hole. 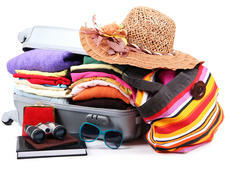 Additionally, passengers will find soft drinks, mixed drinks, several international beers, ThirstyFrog Red and a couple of concoctions that mix ThirstyFrog Red with a touch of liquor. Also on the menu are frozen drinks aplenty, from margaritas to daiquiris. Drinks are charged a la carte to onboard accounts. Prices range from about $9 for mixed drinks to nearly $30 for a 101-ounce "tube" of beer; 15 percent gratuity is automatically added. Which ships have RedFrog Rum Bar? 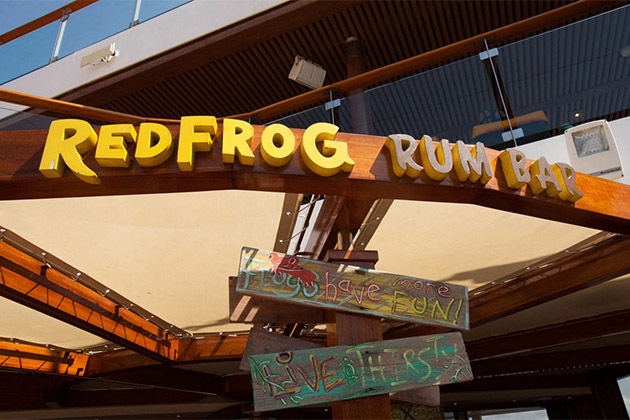 See photos of the RedFrog Rum Bar on Carnival Sunshine.